In 2018 a completely luxurious modernized ground-floor house in a unique monumental building, located on the ground floor. The apartment is equipped with, among other things, a modern kitchen design, a fully fitted bathroom and a spacious living room with adjoining dining room with French doors. 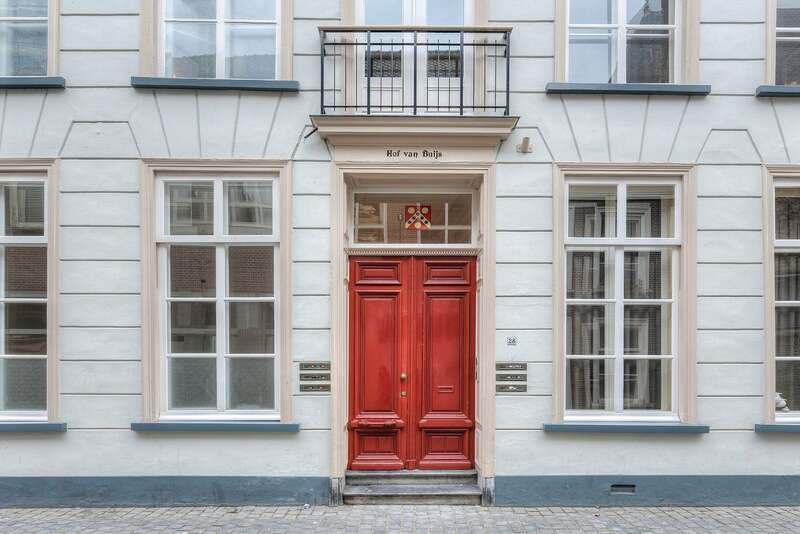 It is a very special residential location in the authentic city center of Breda. In addition, the apartment has a view of the Beguinage and the Walloon church. The adjacent, beautiful Merkxtuin can also be used as outdoor space for the residents of Catharinastaete. The apartment is situated in a quiet residential location in the heart of the center, the gates are opened daily by security services and are open from 10 a.m. to 4 p.m., security is thus optimally arranged. The pleasant shopping streets of Breda and the Valkenberg city park are just around the corner. The NS station and the surrounding motorways (A16 and A27) are also a stone's throw away. This property has its own parking space. As a tenant of this house you can also use a guest apartment (4x3m) with a double bed, shower and toilet, a meeting room and a bicycle shed. In short, a beautiful apartment with all conveniences!